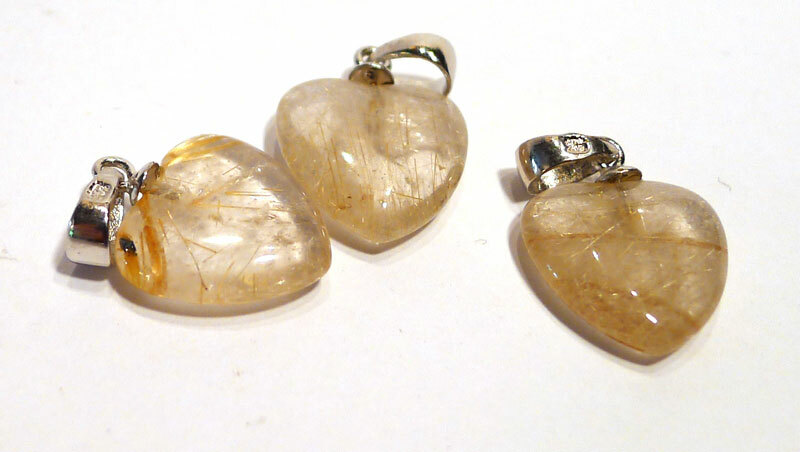 Also known as Rutile Quartz and Angel Hair Quartz. 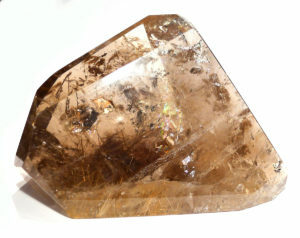 In addition to the general properties of both quartz and rutile, rutilated quartz connects the Solar Plexus with the Crown Chakra, or, when it’s smoky, the Root Chakra. 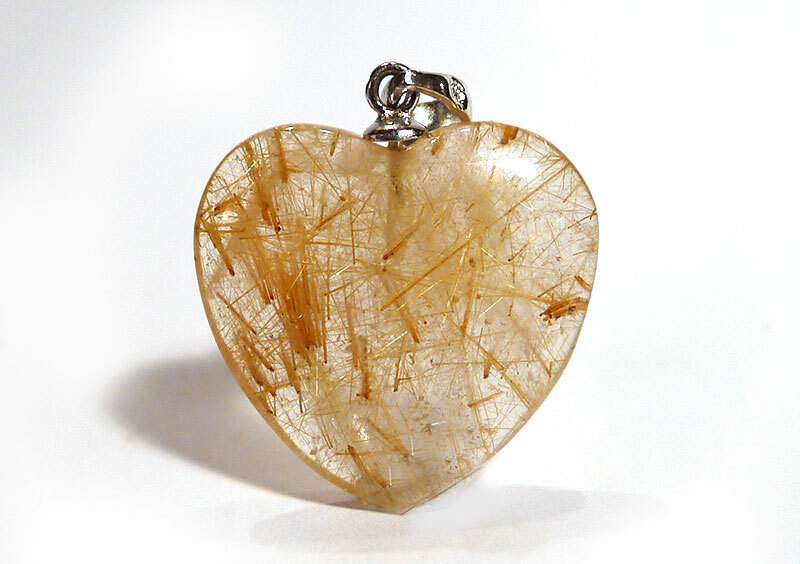 The tensile strength of the titanium gives an air of authority combined with power, and when in clear quartz, also bestows clarity. 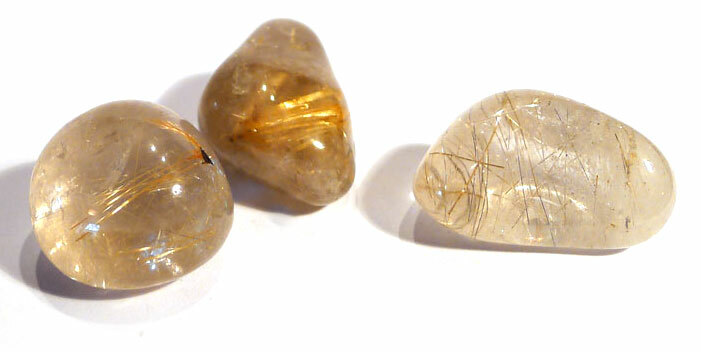 Rutilated quartz, especially with gold rutile, is a superb antidepressant. It engenders new hope and allows us to feel more in control of our lives – feeling out of control is a common symptom of depression. 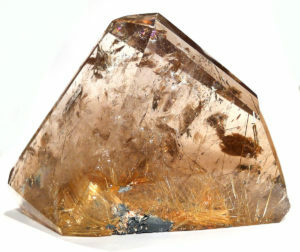 In addition, it is one of the trio of minerals recommended for combating the effects of electromagnetic radiation (along with rose quartz and black tourmaline). 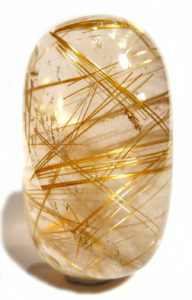 Quartz with rutile inclusion. 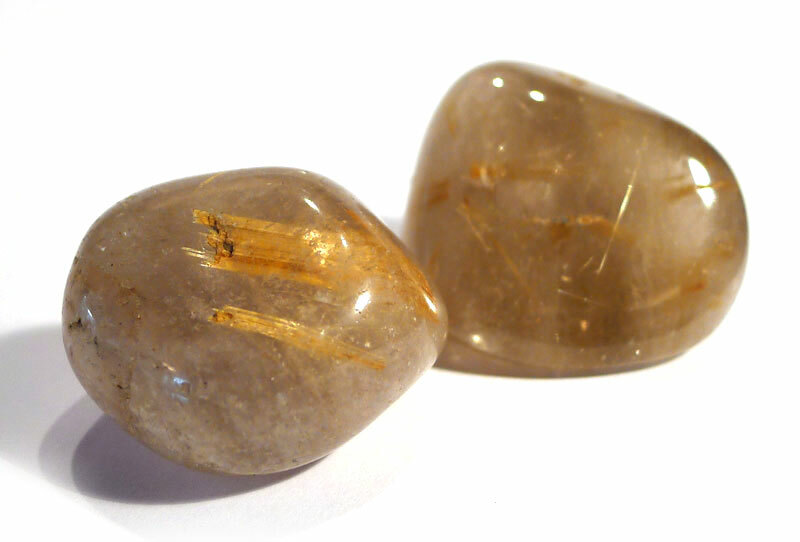 Rutile is titanium ore, which may form as fine strands of gold, silver, red or brown fibres.